The safest method for seed-placed fertilizer is to put nothing with the seed. However, with low-medium soil test results, it’s often beneficial to put ammonium phosphate with the seed at a safe rate, and put all other fertilizers in a band away from the seed row. Temperatures are warmer, days are longer and the fields are bare — in some areas, at least. March is often the month to finalize plans for the 2015 seeding season. 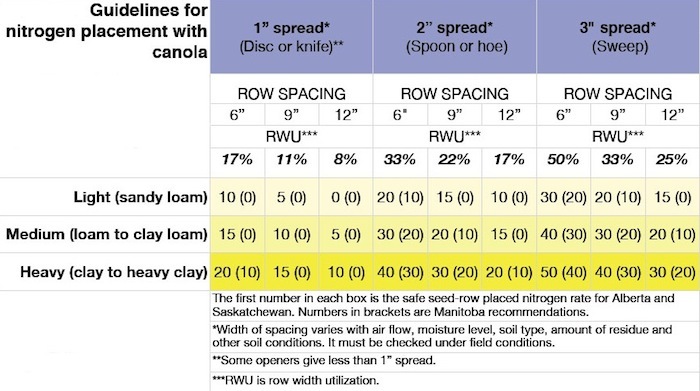 This month’s Canola Watch includes our Top 10 agronomy priorities for 2015. See the survey link at the bottom of the article to provide your own rankings and comments. 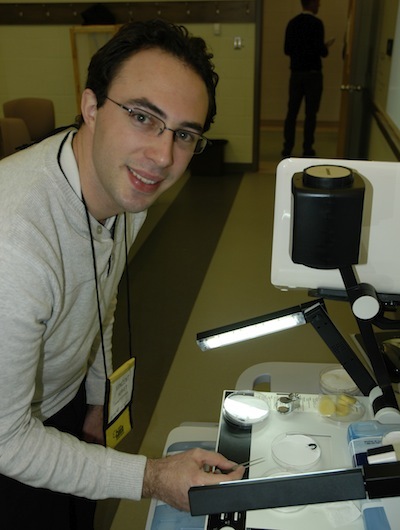 CanoLAB 2015 wraps up this week with two days in Brandon. All three locations covered similar topics, and below is an article covering key take-home messages. 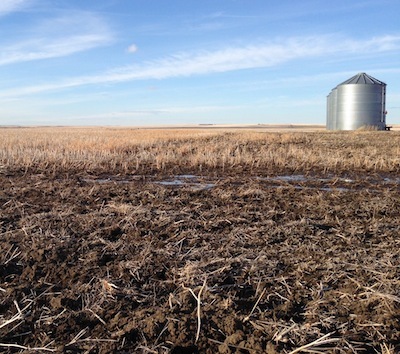 As you settle crop nutrition rates, product, timing and placement for 2015, two issues to consider are sulphur rates, given its importance to canola in particular, and phosphorus rates and the potential for hidden hunger as soil reserves drop. The Canola Council of Canada agronomy team came up with 12 agronomy priorities for 2015, and then ranked them. Here are the top 10, with our highest ranked topic placed first. We will cover these topics in more detail throughout 2015. CanoLAB 2015 wraps up this week in Brandon. The following short summaries from a few of the many CanoLAB instructors outline key “take home” messages for the eight topic areas. Sulphur forms: Which to use and when? 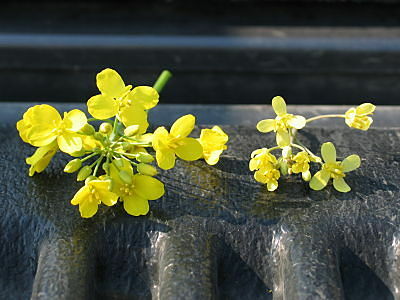 Canola has a high demand for sulphur. Because of high sulphur variability across most fields, the common recommendation is to apply 10-15 lb./ac. 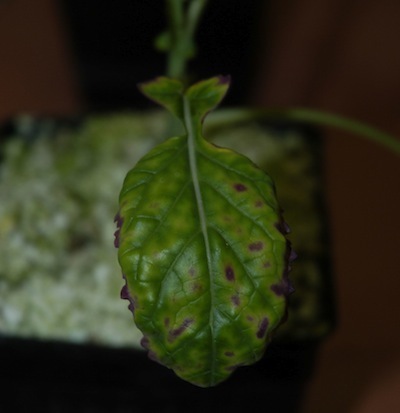 of sulphur when soil test results show adequate levels and 20-25 lb./ac., or more, when tests show deficient levels. Read more for product options and when to use them. Growers sometimes prefer earlier maturing canola varieties given their season zone or if spring seeding is later than expected. Here is a list of all NAMED varieties supported for registration at WCC/RRC since 2009 that have maturity of at least 1.0 day earlier than the checks. If this list is missing shorter-season varieties currently on the market, please email Jay Whetter at whetterj@canolacouncil.org. Many of these varieties are compared at the Canola Performance Trials website, which compares varieties based on days to maturity, as well as yield, lodging and height. 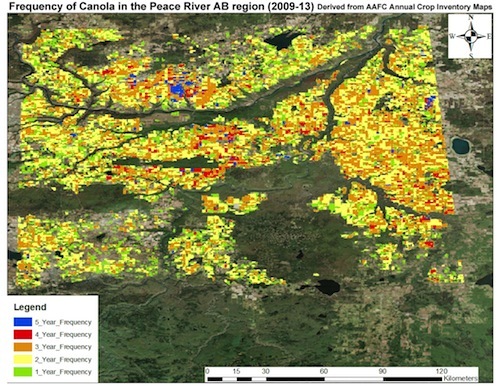 Leander Campbell from Agriculture and Agri-Food Canada provided four maps, including this one….